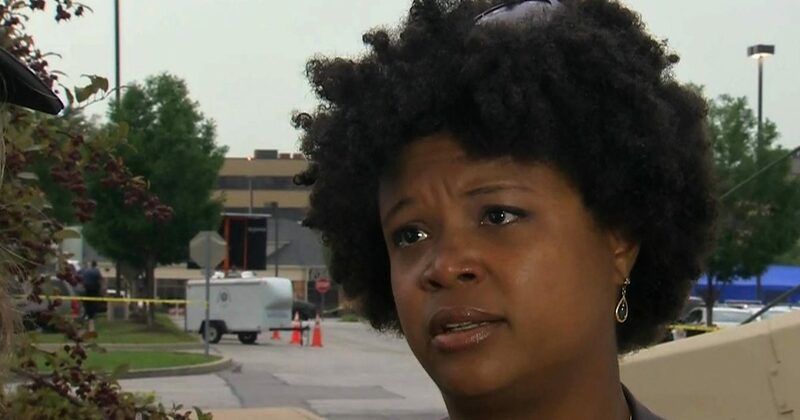 Maria Chappelle-Nadal made the shocking comments on Facebook. Now, the question is, should this Democrat be arrested for a terroristic threat? Or, will leftists turn a blind eye again? Of course, the Senator quickly deleted her comment, and she’s issued the standard “I’m so sorry.” However, that doesn’t excuse her lapse in judgement. Surely, a Senator knows how to maneuver a tense political environment without resorting to death threats. The Senator should know there’s no such thing as “delete” on social media. Her comments were screen-shotted and sent to the local news media via Twitter. Chappelle-Nadal told News 4 that while she is sorry for her comment, it was born out of frustration given the current political climate. “I am not going to shy from that for a moment; the frustration and the anger that I have behind the statement that I made, and that is our president that we have right now is causing a lot of chaos,” said Chapelle-Nadal. Republicans agree, it is chaotic to have a President who likes to get things done. Washington, DC hasn’t seen such a pace of accomplishments in many years, if ever. Adding a million jobs, boosting the economy, restoring law and order- all of these things create a lot of hustle and bustle. Yet, democrats like Chappelle-Nadal would rather sit around and play on Twitter. Apparently, this woman has no control over her temperament. Thus, she started off with “f*ck you” and graduated to “assassinate Trump”. Further, she feels vindicated in her choice of words. If a teenager at the local high school mentioned assassinating the principal, they’d be arrested immediately. Further, even jokes of such magnitude get zero tolerance. Therefore, why do leftists think Senators are above the law? Shouldn’t leaders be the ones to set examples? She did apologize for the language she used in her post, but did not back down from her anger she feels toward the president. Amid the response from her quickly deleted remark, she said she doesn’t want to see the president assassinated. “No, I don’t want to see anyone assassinated, but he should not be president, he should be impeached,” she stated. It looks like Maxine Waters just found her new best friend. Perhaps they should have a sleepover and make “Impeach Trump” posters together. Meanwhile, the Trump train will just keep on rolling, right over liberalism.